Telegraph Museum Porthcurno is opening its new exhibition Hidden Heroes with an official launch party on Bank Holiday Monday 28th May. The new exhibition tells the stories of how ordinary people did extraordinary things during World War 2 to keep communications running. This feature exhibition for 2018 focuses on the stories of the Cable and Wireless employees during WW2. These people undertook incredible feats to make sure global communications were kept operational throughout the war, and their actions defined the Allied strategy The launch event on Monday 28th May will see a day of celebration as we officially welcome visitors to the new exhibition. We will be open from 10am to 5pm with activities all day. The exhibition will be formally opened at 12.30pm with speeches from the Patron of the PK Trust, Lady Banham MBE, and our Chairman of the Board of Trustees, Professor Gareth Parry. We will also be hosting the formal prize giving for our recent community photography competition, with the four winners receiving their awards at 1.30pm. We will be playing 1940s music and will be joined by troupes of swing dancers who will be putting on the Ritz and dancing up a storm around the Museum at 12pm, 1pm and 2pm. Visitors can get 25% off entry on the day if they come along in 1940s fancy dress – and if you do wear fancy dress, don’t forget to take photographs and tag us in using the hashtag #PTMhiddenheroes – we’re on Facebook, Instagram and Twitter. We’ll give away a free return family ticket to the Museum to the winning photograph we select. Museum staff will be running family workshops all day, with everyone welcome to join in. We will be undertaking a craft activity with workshop participants based around the Dickin Medal – a medal awarded to animals who showed exceptional bravery in times of war. There will be a Communication Challenge running for older children, and a Pigeon Trail around the museum for the whole family to take part in! We offer free admission for all serving military personnel, upon production of relevant ID. Come and see the actual bomb that fell on a nearby farm and hear the stories of the Cable and Wireless staff who worked here. Find out about the daring work needed to allow cable ships to keep telegraph cables operational and discover more about the part telegrams played in times of war. The Telegraph Museum’s wartime tunnels have had significant investment refurbishment, and the Museum team have spent the last 12 months curating this interesting new exhibition. We are telling the story of World War 2 as experienced by Cable and Wireless employees – both those who worked at Porthcurno and those operating cable stations in London and around the world. 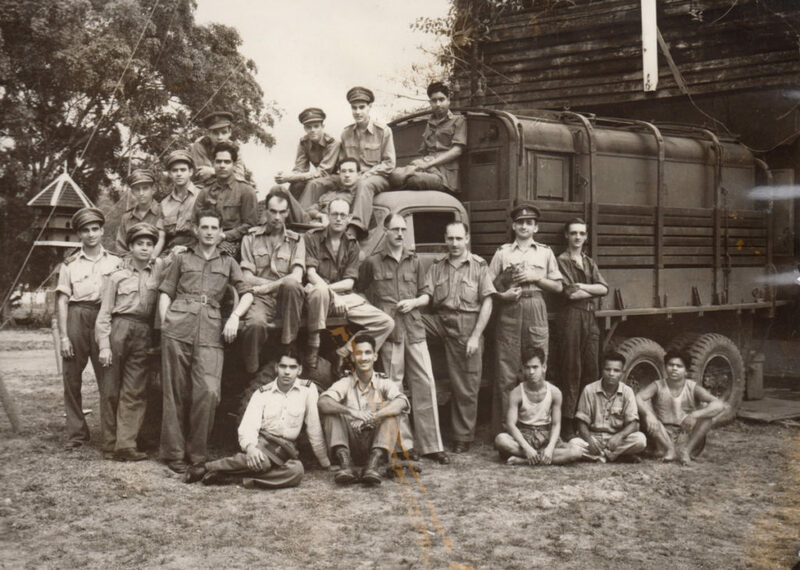 Discover the brave story of John Robins and others who were taken as prisoners of war by the Japanese after they stayed behind in Singapore to make sure communications remained active. John Robins was separated from his family for almost four years, and we have transcripts of his POW diary providing an insight into his experience in the war camps. Learn about the Telcom Girls – the first time women were sent abroad by the company, with the job of following the armed forces and re-establishing communications centres as the Allied Forces advanced. See the inside of telegraph stations from London to Malta and the technology that would have been used. Find out how the work undertaken here in Porthcurno, and the war itself, impacted on the valley. See footage of daily life in the valley and discover diary excerpts from local people. Hidden Heroes tells the story of WW2 communications from a human perspective – come and help us officially open this fascinating exhibition.